Checkin for your lodging and pick up your conference badge and materials. The registration desk is on the first floor of the Performing Arts Building. Need to checkin after 11pm? We'll provide a way. Pick up your conference package and checkin to on-campus lodging. The registration desk is on the first floor of the Performing Arts Building. This workshop will focus on introducing the Galaxy user interface and how it can be used to analyze large datasets. We will cover the basic features of Galaxy, including where to find tools, how to import and use your data, and an introduction to workflows. This session is recommended for anyone who has not used, or only rarely uses Galaxy. First of 3 sessions in the Introduction to Using Galaxy series. Little or no experience using Galaxy. A wi-fi enabled laptop with a modern web browser. Google Chrome, Firefox and Safari will work best. Computational infrastructure for this workshop is generously provided by Jetstream, NSF's user-friendly cloud computing environment for researchers. Monday lunch will be in the Reed Commons Cafe. You'll pay for lunch with the swipe card issued to you when you checkin for the conference. Second of 3 sessions in the Introduction to Using Galaxy series. a general knowledge of Galaxy (for example, you should be familiar with the material in Galaxy 101 or have attended Introduction to Galaxy). Breaks on Monday will be in the Reed Commons. Large-scale ‘omics’ data generation is driven by high throughput genome and transcriptome sequencing, and proteome characterization using mass spectrometry. As a result, many researchers are turning to generating integrative analysis of these ‘multi-omics’ datasets given the great potential to provide novel biological insights. These multi-omics applications are particularly challenging for data analysis, as they require the use of multiple, domain-specific software programs on scalable infrastructure capable of handling the computing and storage needs of this large-scale data. The course will include a basic introduction to proteomics and will include a hands-on session that will cover use of analytical workflows to generate proteomic databases from RNASeq data. The use and understanding of modules for analytical workflows for proteogenomics analysis will be discussed. Third of 3 sessions in the Introduction to Using Galaxy series. Dinner is on your own on Monday night. The Woodstock neighborhood is nearby and has many choices. The Reed Commons may also be open for dinner (watch this space). Galaxy with its flexibility, reproducibility, and scalability is an ideal environment for teaching and training diverse scientific topics. The Galaxy Training Network is a community initiative dedicated to high-quality Galaxy-based training around the world. One of its objectives is to support trainers with complete training material and recommendations about bioinformatics training. Templates and best training practices were defined to help trainers create new material, unify the different material, and make training materials more accessible and easy for users to learn and for teachers to teach (https://training.galaxyproject.org). This workshop will introduce participants to the infrastructure of the GTN training materials and describe how to generate training materials following best practices. Participants will be introduced to the generation of Galaxy Interactive Tours and Docker Galaxy flavors dedicated to teaching and training sessions. The workshop will also cover best practices for running Galaxy-based workshops - how to plan a training session based on number of attendees, time constraints, resource availability, etc. Tuesday offers 5 parallel tracks and presents a wide range of topics throughout the day. Topics were nominated and then voted on by the Galaxy and OBF communities. Checkin for today or tomorrow and pickup your conference registration materials. bcbio is community built analyses for germline and somatic variant calling, RNA-seq, single cell, smallRNA and ChIP-seq. This workshop will focus on using bcbio to run analysis pipelines in heterogenous environments -- local machines, HPC, cloud providers and commercial services (and also hopefully Galaxy). Attendees will learn how to practically run their analyses on their platform of choice, while discussing how the community can contribute to building, sharing and maintaining workflows across multiple platforms. Recent presentations of bcbio show some of the topics we plan to cover. This workshop is aimed at people with some desire to develop dependencies for tools (either Galaxy or Common Workflow Language (CWL) tools). We believe the best practice for declaring dependencies for either Galaxy or the CWL is using Conda and Bioconda. Conda is a cross platform package manager that has minimal requirements to use which makes it ideal for HPC. It can also build isolated environments ideal for platforms like Galaxy or CWL implementations. The Bioconda project is a set of Conda recipes for bioinformatics. The BioContainers project builds best practice containers automatically for all Bioconda recipes, so building a BioConda recipe for a package allows the same binaries to be used by both Galaxy (inside or outside a container) and by any conformant CWL implementation. We will go through the process of creating, testing, and publishing a Bioconda package and we will work through an example of connecting these packages to a real world tool. Participants will be able to work through the examples using either Galaxy or CWL tools. Some knowledge of tool development - either CWL or Galaxy. This is the first session of a 3 session series. The goal of this one-day, three-part tutorial is to teach participants the fundamental data management and analysis skills and needed to conduct genomics research including: best practices for organization of bioinformatics projects and data as well as use of command line utilities for managing large volumes of genomic data. This tutorial is derived from the Data Carpentry Genomics Workshop, focused on the organization and intro to command line lessons. The tutorial uses active learning and hands-on practice to teach participants the skills and perspectives needed to work effectively with genomic data. Data Carpentry’s aim is to teach researchers basic concepts, skills, and tools for working with data so that they can get more done in less time, and with less pain. The tutorial assumes no prior experience with the tools covered. However, learners are expected to have some familiarity with biological concepts, including nucleotide abbreviations. Participants should bring their laptops and plan to participate actively. This tutorial will guide you through loading and analyzing integrated biological data (generally genomic or proteomic) in InterMine via an API in Python or R. Topics covered will include automatically generating code to perform queries, customising the code to meet your needs, and automated analysis of sets, e.g gene sets, including enrichment statistics. Skills gained can be re-used in any of the dozens of InterMines available, covering a broad range of organisms and dedicated purposes, from model organisms to plants, drug targets, and mitochondrial DNA. Basic Python or R skills are advantageous but not required. WiFi-enabled laptop with Python or R Studio. The advent of open, portable workflow languages is an exciting development which allows for the definition of a workflow to be decoupled from the execution. One can create workflows which can run unmodified on local compute, HPC clusters, or the cloud. As these languages are not tied to a specific execution environment, the descriptions can easily be shared, discovered and even composed together to form more complex workflows. The Workflow Description Language (WDL) is an open, community driven standard that is designed from the ground up as a human-readable and -writable way to express portable tasks and workflows. In this session we’ll walk through the lifecycle of writing, sharing and discovering portable workflows in WDL. We’ll introduce the WDL syntax. You’ll learn how to write and run a workflow locally. We’ll demonstrate how to use EPAM’s Pipeline Builder toolto visualize WDL workflows. We’ll look at Dockstore, an open platform where one can publish, share and discover workflows. Finally we’ll put everything together and see how we can compose workflows we find on Dockstore together with our own additions to create new, more powerful workflows. Tuesday lunch will be in the Reed Commons Cafe. You pay for lunch with the swipe card issued to you when you checkin for the conference. This is the second session of a 3 session series. In this session you will get in-depth introduction to Interactive Environments (IE). You will learn how to setup and secure IE’s (Jupyter, RStudio, etc.) in a production Galaxy instance. Moreover, we will create an IE on-the-fly to get you started in creating your own Interactive Environments.In this session you will get an introduction to Interactive Environments (IE) as an easy and powerful way to integrate arbitrary interactive web services into Galaxy. We will demonstrate the IPython Galaxy Project and the general concept of IE’s. Basic understanding of Galaxy from a developer point of view. Knowledge and comfort with the Unix/Linux command line interface and a text editor. If you don't know what cd, mv, rm, mkdir, chmod, grep and so on can do then you will struggle in this workshop. Common Workflow Language (http://commonwl.org) is a standard for writing portable scientific workflows that can execute on a variety of compute environments and workflow systems. How to use the Galaxy API to automate workflows. Galaxy has an always-growing API that allows for external programs to upload and download data, manage histories and datasets, run tools and workflows, and even perform admin tasks. This session will cover various approaches to access the API, in particular using the BioBlend Python library. Talk to me about Galaxy Development, especially the UI! Note: This is the first session of a two-session workshop. Best practice guidelines for experimental design (Biological replicates, Paired-end vs Single-end, Sequencing depth). Data storage and computational requirements. Overview of commonly used workflows for differential gene expression, de-novo assembly, isoform quantification and other uses of RNA sequencing. The focus of this workshop is to outline current standards and required resources for the analysis of RNA sequencing data. This workshop will not provide an exhaustive list of software tools or pipelines available; rather it aims to provide a fruitful discussion on how best to prepare for performing RNA-seq data analysis from the lab to manuscript preparation. I'm a wet-lab bench scientist turned bioinformatician who loves to play with data. When I am not consulting in bioinformatics analysis, I am teaching it. Breaks on Tuesday will be close the training venues. This session introduces command line and text based workflow management systems by the examples of Snakemake and Nextflow. We will start with an overview of concepts and challenges then spend an hour on each of these platforms. portability of the workflow by integration with the Conda package manager and Singularity containers. This is the third session of a 3 session series. Want to know the big picture about what is going on inside Galaxy? This workshop will give participants a practical introduction to the Galaxy code base with a focus on changing those parts of Galaxy most often modified by local deployers and new contributors. A description of the various file and top-level directories in the Galaxy code base. An overview of important Python modules - including models, tools, jobs, workflows, visualisations, and API controllers. An overview of important Python objects and concepts in the Galaxy codebase - including the Galaxy transaction object ("trans"), the application object ("app") , and the configuration object ("config"). A demonstration of a complete start-to-finish modification of Galaxy - including forking the project on Github, modifying files, running the tests, checking style guidelines, committing the change, pushing it back to your local Github fork, and opening a pull request. A brief description of other projects in the Galaxy ecosystem (CloudMan, the Tool Shed, Ephemeris, bioblend, docker-galaxy-stable, Pulsar, and Planemo). GATK4 is the brand new version of the Genome Analysis Toolkit (GATK), an open-source genomics software package focused on variant discovery. This workshop will highlight the key changes and updates in the new 4.0 version which was released in January 2018 (see https://software.broadinstitute.org/gatk/gatk4). The goal of the workshop is to equip participants with the essential know-how to get started with GATK4, whether they have previously used GATK or not. We will walk participants through hands-on exercises aimed at developing familiarity with the GATK4 command line. We will also guide participants through several different ways of running GATK4 tools and pipelines on publicly available platforms including but not limited to Galaxy. We hope this will help participants understand what are their options and choose the platform that best suits their needs and abilities. Free credits will be provided for running on Google Cloud. For more information on FireCloud, see https://software.broadinstitute.org/firecloud. Basic familiarity with terms and concepts of genetics and genomics, including high-level understanding of high-throughput sequencing technologies and file formats used in genomic analysis. Basic familiarity with the command line environment and usage of command line tools. NO familiarity is expected with Spark or cloud computing concepts. Note: This is the second session of a two-session workshop. Galaxy's architecture supports genomic data visualization with a plugin mechanism that enables integration with tools like JBrowse and Apollo, and call-out visualization with tools like the UCSC Genome Browser, IGV and IGB. This BoF will discuss the Galaxy genomic data viz ecosystem, and options for improving it. Meet us at Gigantic Brewing, starting at 6pm. Gigantic has a large beverage selection and two adjacent, pretty darn good, food cart options. Birds-of-a-Feather (BoFs), With Your Dinner! Birds-of-a-feather are informal gatherings or participants with a shared interest. Anyone can organize a BoF session. The BoF call will go out this spring, and we will accept BoF topics from then until we run out of space for them. While BoFs tend to be informal, BoFsWYD! will be especially informal, as these will meet over dinner at a restaurant in the nearby Woodstock neighborhood. Interactions and conversation will likely happen in smaller groups much of the time. We suggest that BoFsWYD! groups either 1) meet in the Reed Campus Commons for dinner, or 2) flock outside PAB and depart on foot for Woodstock at 6:15 (you can talk along the way too). BoF is for those interested either developing, wrapping or using proteomics tools in Galaxy. Informal discussion on current state of available tools for proteomics in Galaxy, suggestions for additional tools and other topics. We may also discuss an idea to develop a community study for testing and demonstrating reproducibility of sophisticated proteomics analyses using Galaxy. Planning to attend? Please login add yourself to this session. Conference welcome, logistics, and information. Nomi Harris is a bioinformatics program manager at LBNL. She has chaired or co-chaired BOSC since 2011. Conference welcome and opening keynote address. Anyone registered for training on Tuesday or for the meeting on Wednesday and Thursday is welcome to attend this session. Opening Keynote: Tracy K. Teal--"Democratizing Data"
Data is no longer the bottleneck for discovery. Instead it our ability and capacity to work with data, to turn data into information and knowledge, that is limiting. The question then becomes, how do we empower researchers and enable discovery, by scaling people's capacity to work with data? First we must recognize the importance of valuing the people by investing in training and valuing the people who create the tools and software. We need to view software not as a service to research, but an integral part of the research process. Then we must develop and provide training, access to computational resources, and give credit for and support research software development. With this support and training, everyone can have the tools and perspectives to work effectively and reproducibly with data. People are empowered to answer the questions that are important to them, allowing us to address more and more diverse questions, and broadening the impact on science and society. We talk about bringing compute to data or data to compute. We also need to bring people to data. It is only by democratizing data that it will reach its potential. Tracy's keynote is sponsored by BOSC. Pick up your registration materials here. Get help with poster and sponsor setup too. This joint session will start with a keynote, followed by an accepted talk. Keynote: Fernando Pérez--"Sustainable development of scientific open source tools: a view from Jupyter"
It is by now well established that software plays an increasingly important role in scientific research. We are gradually recognizing the importance of tools that are robust, well-tested, documented, and that support reproducible research practices. However, the development of such tools is a complex,resource-intensive process for which most scientists are poorly trained, and that is rarely recognized by the incentive structures of professional research. In this talk, I will discuss some of the work we have done in Project Jupyter from the perspective of these issues. I will highlight some recent technical developments in Jupyter that may be of interest to the GCC/BOSC audience, and will discuss lessons we have learned in over 15 years of building these tool sat the intersection of research, education and industrial partnerships. Fernando's keynote is sponsored by BOSC and GCC. IRSI-RIC-Cellule Bioinformatique, IFREMER, 29280 Plouzané, France. INRA, UR1404,MaIAGE,Université Paris-Saclay, Jouy en Josas, France. GABI, INRA, AgroParisTech, Université Paris-Saclay, Jouy-en-Josas, France. GenPhySE, Université de Toulouse, INRA, INPT, ENVT, Castanet Tolosan, France. Head over to the Performing Arts building for a stretch, refreshments, and conversation. Sponsors make GCCBOSC possible and affordable, and they are your potential partners in research. Take some time during the Poster and Demo sessions to visit them and find out how they can help you do your research. The first BOSC session of GCCBOSC 2018. The session will include accepted oral presentations focusing on translational and medical research. The first Galaxy Community Conference session of GCCBOSC 2018. The session will include accepted oral presentations from the Galaxy community. Interested in large data, WGS, machine learning, open source standards. Lightning talks are short talks that concisely communicate resources, work in progress and other topics that lend themselves to just a few minutes coverage and a few slides. Earlham Institute, Norwich Research Park, Norwich NR4 7UH, UK. The Pennsylvania State University, University Park, PA, USA. Got questions for this session's lightning talk speakers? Ask them now. Lunches during the meeting will be served in the Performing Arts Building. Wednesday's lunch is sponsored by Lenovo + Intel. Please visit them in the PAB Atrium and find out how they can help you move your research forward. Birds-of-a-feather sessions will start at 12:30 in several PAB classrooms. If you aren't planning to attend a BoF, you are encouraged to arrive at lunch a few minutes late, and then to use the extra time for networking and for catching up on your morning email. These BoF sessions will start 20 minutes into lunch. Rooms will be available in the Performing Arts Building, where lunch is served. Anyone who works on open projects (or would like to) is welcome. Do you want to learn how to gain new contributors for your project? Better yet, what do you do to keep them and help them grow to life-long contributors? Come, share your tips, ask your questions and learn what others do. If you're a recent / new / want to be open contributor, we'd love to hear your questions, thoughts, and fears too! Configuring and using JBrowse; JBrowse development priorities. Whether you’re already a user or simply interested, come join us as we discuss the Workflow Description Language (WDL) and the OpenWDL organization. In particular we’ll be looking at what’s new in WDL 1.0 and what would be good to include for 1.1 and beyond. FAIR principles state that each entity needs a stable and persistent URI. This translates into links that always point to the same information (gene, organism, ... ) and are valid forever, thus making experiments reproducible. Same data providers have solved it, and we can look at their approach for inspiration although for data integrators there are different challenges, as well as the need for easy of creation and maintenance. Please come and discuss with us on possible solutions. The latest and greatest from BOSC community members, focusing on the data. The session will include accepted oral presentations from the Galaxy community. Biobanking, data management from sampling to publication, support infrastructures, and Africa. Institut Curie, 26 rue d’Ulm, F-75248 Paris, France. Department of Biochemistry and Molecular Biology, Penn State University, University Park PA USA . Earlham Institute (EI), Norwich Research Park, Norwich NR4 7UZ, UK. Melbourne Bioinformatics, The University of Melbourne, Australia. Posters and demos will be presented on two days and concurrently with the sponsor exhibits. Plant genomics researcher, working on managing bioinformatics databases, annotation, and helping create CartograTree and TreeGenes. I am an Assistant Professor in Medical Informatics. I am active in teaching data science and visualization to our graduate, staff, and postdocs at OHSU. I do my best to be a good collaborator. RNA seq, Galaxy Administration, learning bioinformatics, skateboarding. B35: Modernising somatic mutation calling pipelines with Open Source tools and Containers. Hi All, | I am a research scholar. Currently, I am Working on RNA-seq analysis of neurodegenerative disorders and large-scale gene network analysis. I would like to talk about the variant effect in regulatory elements. Yes, we are looking for a snazzier title. Birds-of-a-feather are infornal gatherings or participants with a shared interest. Anyone can organize a BoF session. BoFs will be accepted until we run out of space for them. We suggest that BoFsWYD! groups flock outside of the Vollum College Center and depart on foot for Woodstock at 5:40. You can talk along the way too. What would a Carpentries style workshop look like to help educate persons in academia on open source and open science to make them better funders, reviewers (grants/publications/etc.)? We have an outline started but want your thoughts. Educating these folks would (we hope) accelerate policy change and foster better science. The BoF for Open Bioinformatics Foundation members and prospective members! You probably know of the OBF as the organisers of BOSC, but maybe you'd like to learn a little more about us? Or maybe you're an experienced OBF member and BOSC attendee, and you'd like to come hang out - or perhaps you'd even like to get involved more, or pitch a nifty community idea. Come and chat over dinner! Planning to attend this BoF? Please login and add yourself to this session. How long will this bwa_mem job take? How much memory will it consume? Can we set dynamic walltimes? Is it efficient for us to give this tool more cpu cores? We are moving closer to having better answers for these based on the job metadata mined from the Galaxies that opt-in to share and on a machine learning project spearheaded by Anastasia Tyryshkina. Let's discuss what we can do with this and how to participate in this emerging database of unprecedented depth. Bioinformatics support facilities at universities are becoming increasingly common and Galaxy is being used or considered by several universities. The role of core facility scientists supporting researchers in bioinformatics can provide a first line of support for Galaxy and also help shape the further development of the ecosystem. Reaching out to discuss key Galaxy servers, other suitable tools and how to obtain user feedback will therefore hopefully make for a pleasant and constructive dinner. Dinner on Wednesday night is on your own. There are numerous good options in the nearby Woodstock neighborhood. Lifebit's mission would not be possible without the diverse Bioinformatics Open Source community. We admire everyone who is involved in contributing to the ecosystem and therefore, we would like to give it back to you and get a chance to meet over drinks during GCCBOSC, in Portland. Join us for a GCCBOSC side-event and let us show our gratitude for your contributions. Feel free to come any time from 6PM onwards. Birds-of-a-Feather (BoFs), wherever you want! This is the second BoF session of Wednesday evening. Rooms will be available on campus in the Performing Arts Building. You can also meet in a location of your choice in the nearby Woodstock neighborhood. General meet up for Nextflow users, developers and any one interested in discussing new features, use cases and plans for the future of the project. Current idea is for an informal gathering at one of the local brew pubs. Let's go to a bar and talk about future development and contributions to Snakemake itself and all the community projects like workflows, wrappers, and profiles. Need help? Here's where to get it. You can also checkin for the following day too. Talks and lightning of interest to the BOSC community. Bioinformatician at the James Hutton Institute, a member of the BOSC organizing committee, treasurer of the Open Bioinformatics Foundation, and a core developer on the Biopython project. Talks and lightning of interest to the Galaxy community. 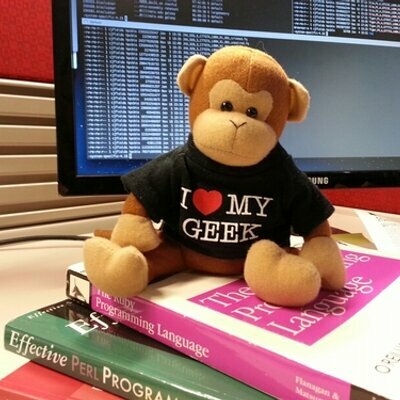 Hello, I am a developer on the G-OnRamp project (gonramp.org). I am happy to talk about all manifestations of the logical majesty of the Machine Spirit. The second day of BOSC continues with more accepted talks, and other content, this time focusing on workflow. You can talk to me about bioinformatics and the soccer world cup in Russia. Also, let me know if you ever saw Greg Sage and the Wipers live! Galaxy Community Conference continues on Thursday. University of Washington Department of Genome Sciences, Seattle, WA. I'm a Pharmacist who works with project design, development, and management. I'm also a master candidate in Oncology focused on Bioinformatics and a Systems analysis and development student. Birds-of-a-feather session will start at 12:30 in several PAB classrooms. If you aren't planning to attend a BoF, you are encouraged to arrive at lunch a few minutes late, and then to use the extra time for networking and for catching up on your morning email. Galaxy Training Material: Let's improve the contributions! This BoF session will start 20 minutes into lunch. Rooms will be available in the Performing Arts Building, where lunch is served. Meet other CWL users and learn more about CWL v1.1 and beyond! BoF: Galaxy Training Material: Let's improve the contributions! The Galaxy Training Network has developed an infrastructure to deliver interactive training based on Galaxy: one central place to aggregate training materials covering many current research topics. The tutorials are developed and maintained by the community via a GitHub repository. Given all our effort, contributing to the Galaxy Training material may be sometimes cumbersome and not always easy. Let's discuss how we could improve the contributor experience! There's a lot of repeated effort out there regarding Galaxy setup, configuration, maintenance, upgrades, etc. Let's talk about some ideas, requirements, and directions for providing a framework to standardize how a vast majority of Galaxy servers can set up. This is primarily intended for individuals maintaining Galaxy instances. Please come with some requirements for your environments so we can discuss corner cases and desires. Updates on projects in the BOSC community. Plus, Late Breaking Lightning Talks. I am a reformed molecular microbiologist associatively directing a moderately sized group of very smart people from crazy diverse backgrounds, and we all work on anything and everything sequence-related. No, really. The session includes the Galaxy Project update talk, and lightning talks from the Galaxy community. What's happened, what's happening, and what's going to happen in the Galaxy Community - the annual project update. In Silico Solutions, Falls Church, Virginia. Department of Systems Biology, The University of Texas MD Anderson Cancer Center, Houston, Texas. Viewing and analyzing complex datasets with our Next Generation Clustered Heat Map (NG-CHM) tool in Partnership with MD Anderson.Solving difficult biological problems with our bioinformatic expertise.Addressing significance in very large multivariate studies. Sara-Jayne Thursby, Sarah-Jayne Mackin, Rachelle Irwin and Colum P Walsh. Centre for Molecular Biosciences, School of Biomedical Sciences, University of Ulster,Cromore Road, Coleraine BT52 1SA, UK. de.NBI, Albert Ludwigs Universität, Freiburg, Baden-Württemberg, Germany. Dept. of Ecology and Evolutionary Biology, University of Connecticut, Storrs, CT, USA. French National Museum of Natural History, Station de Biologie marine BP 225, 29182 Concarneau CEDEX - CESCO UMR 7204 43 rue Buffon 75005 PARIS. French National Museum of Natural History, CESCO UMR 7204 43 rue Buffon 75005 PARIS. B10: Debarcer2, De-Barcoding and Error Correction of sequencing data containing molecular barcodes designed to handle different library designs. G30: Compliance? We don’t need no stinking compliance! As a systems administrator with The University of Iowa ITS Research Services group, I primarily support the storage and computational infrastructure for the Iowa Institute of Human Genetics. Talk to me about scaling infrastructures, virtualization and automation with Puppet. The closing session for GCCBOSC 2018. High throughput sequencing (HTS) has become a preferred choice for the measurement of genome-wide biological phenomena at the molecular level, from genetics to gene expression regulation. Despite its widespread use, challenges remain in HTS data analysis. One often-overlooked aspect is normalization. Despite the fact that a variety of factors or “confounders” can contribute unwanted variation to the data, commonly used normalization methods often only correct for sequencing depth. The study of gene expression and gene expression regulation is particularly problematic when it is influenced simultaneously by a variety of biological factors in addition to the one of interest. Using examples from our lab and others, we show that confounders can dominate the signal of interest. If the effect of confounders is not properly accounted for the power, reproducibility and biological insight of the results is compromised. I will focus on two methods aimed at correcting for confounding factors: RUVSeq (for RNA-seq) and DEScan (for epigenomic-seq). Our results show that removing confounding factors can make a dramatic difference on the biological conclusions of genome-wide studies of gene expression and epigenomic regulation. Dr. Peixoto is an Assistant Professor at the Elson S. Floyd College of Medicine at Washington State University. Her research focuses on using genomic and computational biology approaches to study brain function. She also advises the WSU Spokane Genomics Core, and has published work on how analysis of complex datasets affects power and reproducibly in RNA-seq and Epigenomic-seq. Lucia's keynote is sponsored by GCC. Where we bring it all together by wrapping up this year, talking about the coming year, and maybe even give away a prize or two. Birds-of-a-Feather (BoFs), the Final Flight! This is the last BoF session of GCCBOSC 2018! Let's discuss the (bright) future and current status of Bioconda. Everybody is welcome to join. Organizers and participants from the GA4GH/DREAM Workflow Execution Challenge have been piecing together a manuscript to report results, lessons, and a vision for ongoing infrastructure challenges. It's rare to have so many members of this group in the same place at the same time — so we'd like to take advantage of the opportunity for some focused writing! The paper and process are entirely open, so anyone else from the community is welcome to come and contribute ideas (and maybe even text). Here is the working draft of the manuscript. Dataset collections are a powerful mechanism for representing large complex datasets within the Galaxy user interface. This BoF will discuss existing limitations and usage scenarios to define implementation priorities. We'll walk over to Gigantic Brewing immediately after Session 8 ends. The annual in-person meeting of Galaxy system administrators. The meeting is done! Please relax and join us for dinner under the setting sun of a glorious (really) Oregon summer evening. The conference dinner is included with your meeting registration. Didn't register for the two day meeting but still want to attend (or bring a guest)? You can order additional tickets on the conference registration site. And please thank Google Cloud for sponsoring the GCCBOSC 2018 Dinner! This dinner would not have been possible without their generous, Platinum level sponsorship. So go find Jonathan Sheffi and Asha Rostamianfar and give 'em a hug! OBF’s CodeFest, Galaxy’s Hack the Galaxy, and the NIH’s Data Commons Pilot Phase Consortium are all converging for CollaborationFest 2018. CoFest starts at 9am on Friday morning, the day after the GCCBOSC meeting ends and features 2, 3, or 4 days of collaborative work on projects that matter to open source bioinformatics. CoFest will be held in the Performing Arts Building (PAB) and will make extensive use of classrooms and PAB Atrium, an ideal space for collaboration. OBF: Contribute to any open source bioinformatics project. CoFest participants will coalesce around shared interests and address common challenges related to those interests. These clusters form before, at the beginning of, and throughout CollaborationFest. These clusters will be fluid and highly interactive with each other. These groups and clusters will be fluid and highly interactive with each other. There will be a joint gathering of all communities at least once a day. See the CollaborationFest page for more. The GCCBOSC meeting will be followed by CollaborationFest: Core, two days with lots of opportunities and emphasis on learning about open source bioinformatics projects and software. These groups will be fluid and highly interactive with each other. There will be a joint gathering of all communities at least once a day. The first two days, CollaborationFest: Core emphasize collaboration and learning. The next two days, CollaborationFest: Encore lean heavily towards collaboration (although, trust us, organizers won't stop you from learning either). We expect CollaborationFest: Encore to be a smaller group of contributors.